In Collapse, Hannah, tries desperately to hold the façade of her perfect life together, even as her husband, David, mysteriously calls in sick to work. Day after day they struggle with infertility, and Hannah herself is on the verge of being laid off. When Hannah’s sister appears on their doorstep, she brings with her a renegade attitude and an illicit package that send David and Hannah on a 12-hour odyssey into the heart of their deepest fears. Will they survive? Will their relationship? Esteemed playwright, Allison Moore, deaftly weaves comedy into the fabric of her topical story. The economic collapse has affected Hannah and David's relationship, and Moore's comedy subversely captures the truth burried beneath the laughs. Setting: Spring 2009. The middle of the economic collapse. Minneapolis. HANNAH - mid-to late 30s. An attorney. A people pleaser, and a little high strung. Trying valiantly to maintain a positive attitude about everything. DAVID - late 30s, Hannah’s husband. Trying (sometimes successfully) to hide his crippling panic attacks. SUSAN - mid-to-late 30s, Hannah’s sister. A renegade. After living in LA for many years, she has suddenly returned to Minneapolis. TED - about 50. A gentleman-scholar type. Originally from Georgia. Speaks with a slight drawl. 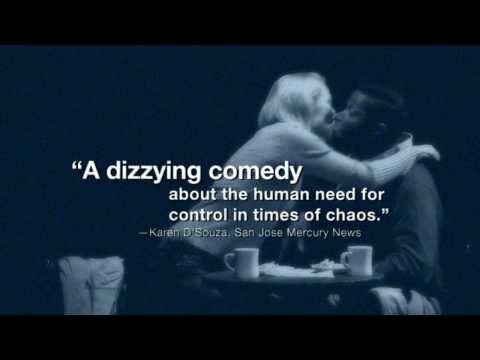 Collapse premiered at The Aurora Theatre in San Francisco in February of 2011.